The doors of St. Paul Parish were first opened for services around 1959 when it was a Mission without a name. 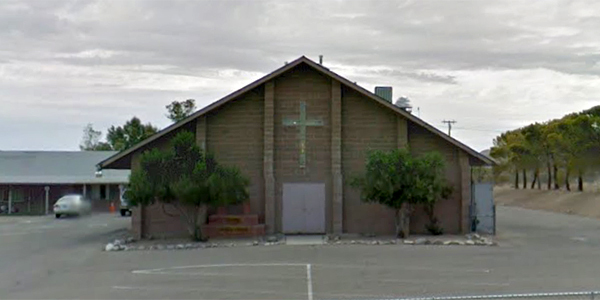 Six years earlier, it was through the hard work of a women's group who regularly met to sew and gather items for foreign missions that the church got its start in the Lucerne Valley. Formally established in 1968, the church received its first pastor, Father Brennan, but it was under the leadership of Fr. Scanlan that the little Mission relocated to Pinard's Ranch. It later came to rest in its present location on Mesa. The Carter Brothers undertook the construction of the new Church. Many pastors have come and gone in the past 44 years. The parish is now served by the Missionaries of Our Lady of La Salette.